Let’s not put too fine a point on it: Joe Berlinger and Bruce Sinofsky saved Damien Echols’ life. That wasn’t their intent when they started making a documentary that came to be called Paradise Lost, about three 8-year-old boys found murdered in West Memphis, Ark., in 1993, and the subsequent trials that seemed to be railroading teenagers Echols, Jason Baldwin and Jessie Misskelley Jr. for the crimes, including a death-sentence verdict for Echols. 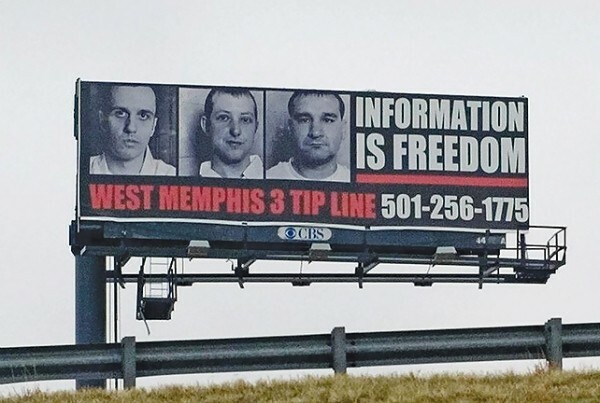 The outrage inspired by the apparent injustice of the “West Memphis Three” verdicts became a grass-roots phenomenon, inspiring strangers to spend years working toward clearing their names; it also inspired two follow-up documentaries by Berlinger and Sinofsky in 2001 and 2011. The significance of Paradise Lost isn’t lost on filmmaker Amy Berg (Deliver Us From Evil) in her own documentary West of Memphis—but it does make it hard not to ask, “Why?” Over the course of more than 15 years, Berlinger and Sinofsky had given viewers nearly eight hours of material covering the case, trials, subsequent publicity and the wealth of new evidence that pointed to other suspects. What could Berg possibly have to add that hadn’t been meticulously catalogued already? Not a ton, as it turns out—but also enough to remind what has made this story so fascinating, and what has made the films about it at times so troubling. Berg lays a comprehensive foundation for anyone coming in cold, describing the 1993 crimes that horrified the community, and how the prosecution made fear of satanic rituals a fundamental part of its case against Echols, Baldwin and Misskelley. She similarly gives credit to the original Paradise Lost as the impetus for public interest in continuing to investigate what really happened at the murder scene, during the investigation and in the trials, including introducing the case to the woman who would become Echols’ wife and strongest supporter, Lorri Davis. But Berg’s focus is on the events of the mid-to-late 2000s, as forensic experts and DNA testing—paid for by both crowd-sourced funding and bigger spenders like this film’s producer, filmmaker Peter Jackson—challenged the conclusions introduced at trial and raised hopes that a new evidentiary hearing or trial would be granted. And Berg crafts a compelling story around that material: Experts who claim that many of the wounds that made the murders seem like a ritual killing were, in fact, likely the result of post-mortem animal feeding; profilers who refute the idea that anything about the evidence suggests a ritual killing; and, most explosively, the testing of a hair that could link Terry Hobbs, stepfather of one of the murdered boys, to the crime. This is where West of Memphis starts to seem uncomfortably familiar. In Paradise Lost 2: Revelations, Berlinger and Sinofsky spent a lot of time on another one of the boys’ stepfathers, John Mark Byers, an oddly theatrical character made to look pretty suspicious based on a lot of circumstantial evidence. But now the finger has shifted to Hobbs, and Berg dwells on his criminal history, his questionable alibi and an eyewitness who identifies Hobbs as the person likely to have last seen the boys alive (even more so than Berlinger and Sinofsky did in Paradise Lost 3). It feels as though Berg learned nothing from the embarrassing-in-hindsight obsession of Paradise Lost 2 with finding someone else who could be “the guy.” As much as West of Memphis provides a sense of satisfaction for viewers and the families to have someone to point to, this story has always been most about the wrongs that were done to the West Memphis 3—including trying to convict them in the media before trial. Berg does have the advantage of being able to show us Echols, Baldwin and Misskelley after they were finally released in August 2011, plus great behind-the-scenes material about how close the plea deal was to falling apart, and prosecutor Scott Ellington’s wonderfully forthright comments about why he had to find some way out of this mess for the state of Arkansas. West of Memphis doesn’t feel entirely superfluous; it feels like a true continuation of the Paradise Lost story, though in a more complex way than I think was intended. Because as much as advocacy filmmaking has shown the ability to bring about change, it might be prudent to consider that righteous zeal can lead to questionable decisions by anyone.